Now that tax season is behind us and that last extension has been dropped in the mail it’s time to think about whether you or some of your staff need to take the new Registered Tax Return Preparers (RTRP) test. The test has been available since last November but the IRS and others recommended that you wait to take the test until after tax season. Following are some of the most frequently asked questions about the Registered Tax Return Preparer test. 1. What does the new IRS return preparer oversight program require? The oversight program requires all paid tax return preparers to register with the IRS each year and have a Preparer Tax Identification Number (PTIN). Certain tax return preparers who prepare Form 1040 series returns must also pass a one-time competency test, a tax compliance check, and a suitability check. 2. Who must take the RTRP competency test? All paid tax return preparers who prepare Form 1040 series returns, and are not CPAs, Attorneys, or Enrolled Agents, are required to take the test. 3. Can I take the test even if I’m not required to? Yes. However, you must have a PTIN if you wish to take the test. 4. Is the test available in Spanish? No. The test is currently available in English only and generally will be administered in a computer based-format. 5. How many questions are on the test and what is the minimum passing grade? There are 120 questions in a combination of multiple choice and true or false formats. You will have two and a half hours to complete the test. A perfect score is 500 but you must score 350 (70%) or higher to pass the test. 6. Where do I go to take the test and is there a fee? The test is administered by Prometric and can be taken at any one of its more than 260 sites throughout the U.S. The test fee is $116 and must be paid each time you take the test. 7. By what date must I pass the test? Preparers must pass the competency test and a tax compliance chech by December 31, 2013. 8. Do I have to pass the test more than once? No. Passing the test is a onetime requirement to become a RTRP. 9. Must RTRPs comply with any annual requirements? Yes. Starting in 2012 you must complete 15 hours of continuing education each calendar year. The 15 hours must include two hours of ethics. three hours of federal tax law updates, and 10 hours of other federal tax law courses. These courses must be taken from an IRS-approved vendor. 10. Where can I find more general test information? RTRPs representation rights are limited to representation before certain IRS officers and employees and only in connection with returns they signed. If you’re looking for an IRS-approved CE vendor with RTRP prep courses to help you pass the test and all the continuing education courses needed to stay current with the latest changes in federal tax law and fulfill the ethics requirement, then visit Checkpoint Learning. How to Succeed in Business… Just Ask! ﻿ Ask whom, you might wonder? The answer: your customers. Often businesses try to tell customers what they want rather than asking them what they need, and then fulfilling that need. Companies that do not listen to what their customers are saying can suffer grave consequences, as evidenced by the recent bankruptcy of the Eastman Kodak Company. How could a venerable company like Kodak that has been around for over 132 years, come to such an end? The answer: not listening to its customers. Kodak’s film business was its cash cow, so when customers began moving away from film and on to digital photography Kodak was concerned that if they moved with them it would cannibalize its film business. This concern made the company reluctant to embrace the new technology, even though Kodak invented it back in 1975. Other camera companies, like Cannon, listened to their customers, saw the opportunity and quickly began to address the needs related to digital photography. By the time Kodak realized that its future was not going to be selling film, it was too late. Their competitors had left them behind. In contrast to Kodak, the Encyclopedia Britannica, Inc. listened to what its customers were saying and made the move to digital publishing. They recently announced that they will no longer offer the 32 volume encyclopedia in a printed format. The company said it had been exploring digital publishing since the 1970s and published the first online encyclopedia in 1994. Wikipedia, the free online encyclopedia, didn’t come along until January 2001. Customers don’t always know what they want and they may think they want something they don’t need. So don’t ask them what they want; ask them what they need or ask them to identify their biggest challenge. You just might be able to provide them with a solution. What do you think? 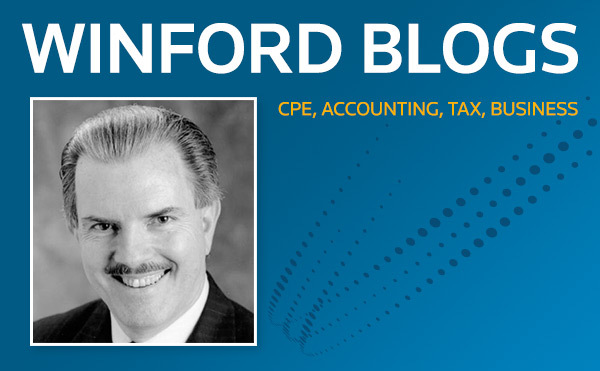 Winford Paschall, CPA, sat down with Robin Thompson to answer some questions on the CPE requirements under Generally Accepted Government Auditing Standards (GAGAS, also known as Yellow Book) for professionals who perform audits or attestation engagements, including the 80/24/20 continuing education equation.